After years and years of waiting, Deadpool has finally graced our screens. I am sure that you are all so over hearing about it and reading reviews about this movie, but I finally got to it and there is no ways that I am not going to write about it. Right off the bat, Ryan Reynolds owns as Wade Wilson. He did in X-Men Origins: Wolverine (a film I like, leaving me in the extreme minority), and while people had complaints when he was Weapon XI, it could have gone so much worse (although, really, they should have thought a bit more before they made him what he was). But that means that, since 2009, we have desperately been holding out for a movie for the merc with a mouth, and it was teased so many times, I was ready to give up hope, and here we are. Finally! Ryan Reynolds, self-assured and cocky as hell, steps up to helm the role of his lifetime, and he does not disappoint at all. He rolls with the crude humour, and it works for him, and the way he breaks the fourth wall is brilliant. I think the fourth wall was handled so well because it was just a total non-issue, if that makes sense? Like, oh, there’s an audience? Whatever, let’s roll with it and have fun. It never felt weird or out of place. Something I was a huge fan of is the fact that Vanessa was not some run of the mill, average girl. It would so not have been realistic to have Wade kicking it with the cream of society, a schoolteacher or housewife or something like that, it wouldn’t jibe. Instead, Vanessa is out there, totally up his alley, can match him in terms of crudeness and crazy, and that works wonders, making me buy into their relationship. They did fit like puzzle pieces. I also enjoyed watching Wade and Weasel together – you can see how they would be friends. Deadpool really steps into a stale genre and does a major shakeup, which is so refreshing. I really hope that not every single studio goes and tries this on, because then this, too, will be all stale and recycled. Some of the humour fell slightly flat in places, but it was not often. There was smart humour and there was crude humour, there was humour all over the show. 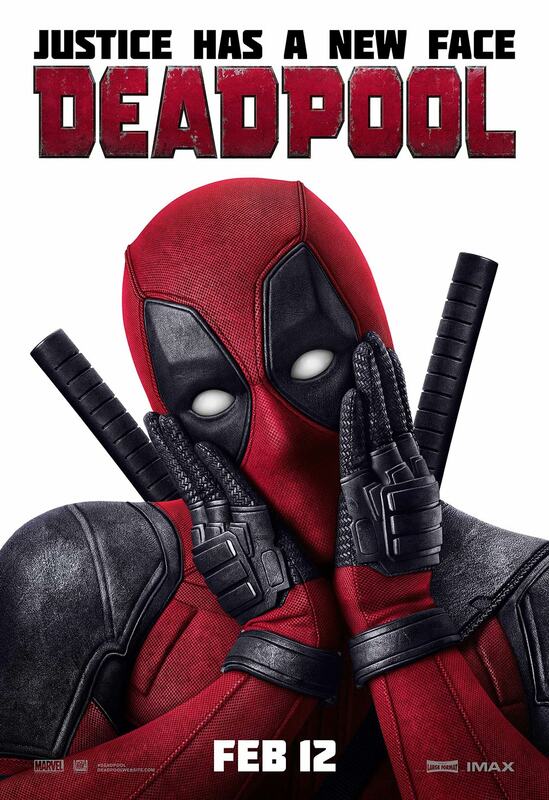 I particularly enjoyed the crazy opening credits and the cabbie, Dopinder and his cuckoo antics, fueled on by Deadpool. Plus, all the blood, guts, and gore? Yes. Sold. Me? I love that kind of stuff, and it worked perfectly here, and could not be sacrificed at all. I really appreciate the fact that the movie went out and did what it wanted, and did not sacrifice itself for a more… younger audience friendly rating. Imagine canning all the things in this movie that gave it an R-rating. That would have been a total shame. All I can say, folks, is that I thoroughly enjoyed this, the cussing, the fighting, the humour, the whole shebang, and will definitely be watching it again. Well worth the wait, and I am super excited to see some sequels! Third and final installment right here. 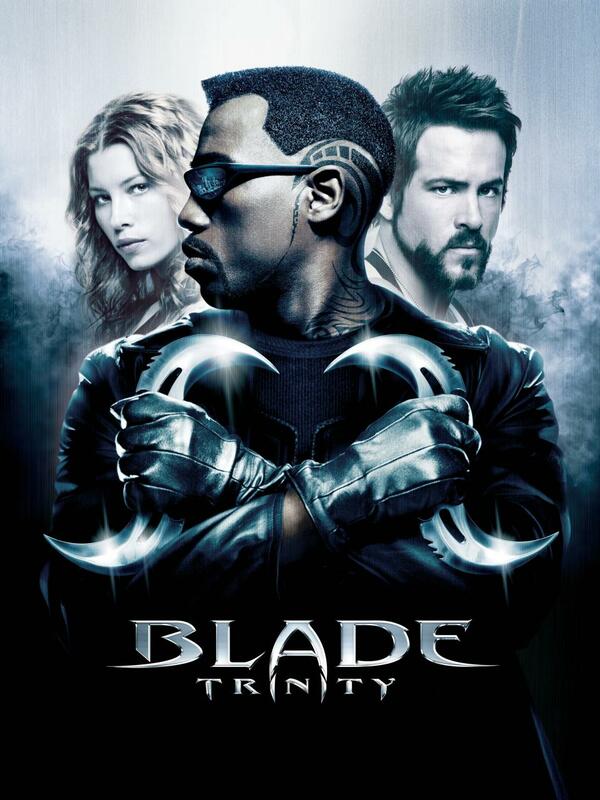 Blade: Trinity is considered the worst of the trilogy, and I can understand why, but I don’t think it is as bad as it has been made out to be, in all honesty. This isn’t to say that it was great, but really, not the worst vampire flick out there. However, when they were talking about “Dracula” and then “Drake”, I will not deny cringing. It was so bad. What Trinity does have going for it, however, is so much Ryan Reynolds. So. Much. I have no issues with this whatsoever. His character was sassy and snappy and had an answer for everything, every time, and he was good – awesome character. I was so over Whistler being popped again (seriously, starting to feel like a soap opera) and the cheese throughout this film was not always the good cheese, either. The action choreography was good again, but it was backed by a really weak and sad story that was embarrassing, too, when you get right down to it. The humour was entertaining – more precisely, Ryan Reynolds was entertaining. I still love the costume design, it looks awesome. Jessica Biel was such a side character for me here. Like, she had the potential to be a strong character, but was instead there to serve as some eye candy for the guys, and didn’t really contribute anything to the story. Her character was bland, and there was no development across the board on any of the characters (not that the Blade movies are renowned for that or anything, but the other movies had a little bit to show for that). Not the greatest way to close off the trilogy, undeniably, and definitely a weak movie by comparison to the others, but still an entertaining flick if you aren’t looking for anything too serious. Rob told me to check this one out because I do enjoy Ryan Reynolds. I had never heard of it, though apparently it had been recommended to my other half. Watching this was quite the ordeal. Buried takes awhile to start up, silence, and darkness to set the atmosphere up, and it worked. The whole concept of being buried alive is a damn horrendous one, one that will freak just about anyone out. There were parts that feel like they were inserted deliberately to add some action (here’s looking at you, snake part), and bits that had such flawed logic I struggled to accept it a bit. However, it really is a harrowing tale of Paul Conroy, and his desperation to be let free, as well as the American policy of not negotiating with terrorists, while Paul is talking with his kidnapper on his phone, and anxiously trying to contact his wife. I thought it was a little ridiculous that he couldn’t get hold of anyone, and that they were having such a hard time tracking him, and then suddenly there was a snake (convenient)… but aside from that, Reynolds was very good. You believed that he was upset and afraid, and there were times his frustration and anger resonated so much with you because we have all gotten so peeved we get sarcastic and nasty just because. He had better reason than I ever have, though. The conversation he had with Alan Davenport at CRT about the benefits for his family just brought me to my knees. Some people are just too cold and blunt and cruel – and the sad thing is that there are so many people like that out there. There were plenty of shots that I thought were done very well in the film, and the movie managed to stay within a run time where it was not stretched out and going into the boring sector. 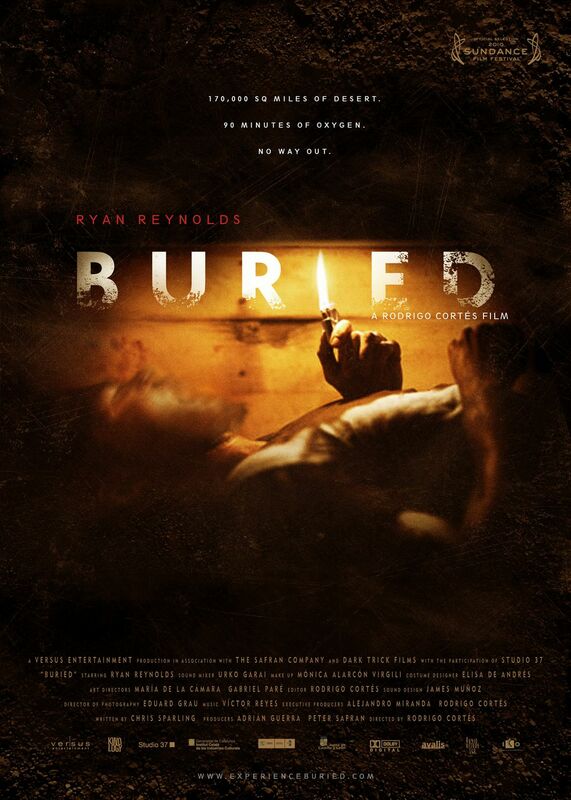 Buried manages to be engrossing and entertaining, which is great considering the entire film takes place only in a coffin, and Reynolds is the only person we see, the others are all just voices. I can’t see myself watching this again in a rush, or maybe even ever again. It is a decent movie, but not something one will be able to go back to time and time again. 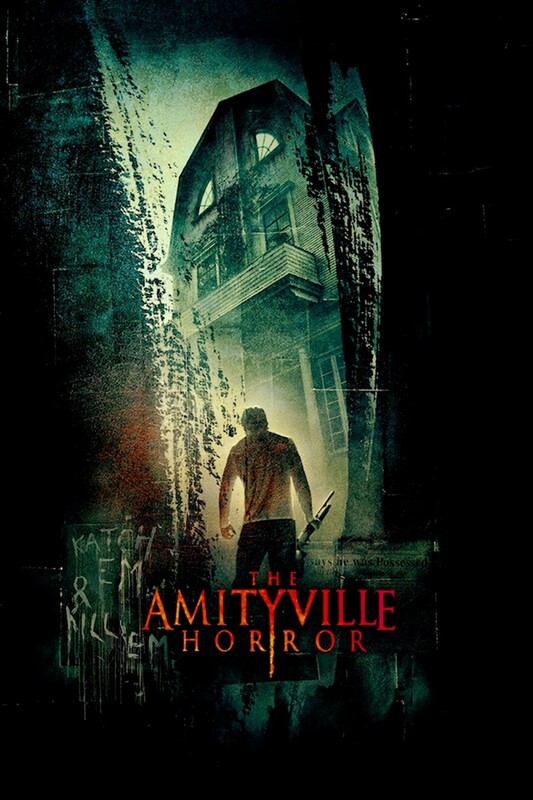 In 1845, James Howlett (Troye Sivan) is extremely ill, and one night witnesses his father’s death at the hands of Thomas Logan (Aaron Jeffrey), the groundskeeper. Flying into a rage, James’s mutation makes itself evident, and he grows bone claws from his hands and kills Thomas Logan, who turns out to be his real father. He goes on the run with his half brother, Victor Creed (Michael James Olson), and the two live a long life. Victor also has a mutation, though slightly different from his brother. Both are blessed with healing and long lives, and together move through the many wars throughout history. The longer they live and fight though, the more violent and uncontrollable Victor (Liev Schreiber) becomes . James (Hugh Jackman) is the only one that can keep him in check. Captured in a village in 1975 after Victor kills a senior officer, the two are put to death by firing squad, which obviously does nothing. Approached by Major William Stryker (Danny Huston), who offers them the chance to serve their country on Team X. Members are Wade Wilson (Ryan Reynolds), Agent Zero (Daniel Henney), John Wraith (will.i.am), Fred Dukes (Kevin Durand), and Chris Bradley (Dominic Monaghan). James is weary of joining, but ultimately does. He is uncomfortable with how things are done, though Victor loves it. Stryker questions a man in a village about some incredibly rare rock. Ultimately James leaves, he cannot agree with the blatant disregard for other people and their lives. He is now functioning under the alias of Logan, and is a lumberjack. His life seems to be going well, and he lives with his girlfriend Kayla Silverfox (Lynn Collins). Stryker pays him a visit after Bradley has been killed, and tells him that Wade has been, too. What he does not tell Logan is that Victor is behind the slayings. Logan rebuffs him, saying he will be fine. Instead he later discovers Kayla’s dead body as well as indications that Victor is responsible, and flies into a rage and intense mourning, and vows to avenge her death. After a fight with Victor that he loses, Stryker explains that Victor has gone rogue, and offers Logan a way to get strong enough to beat Victor. 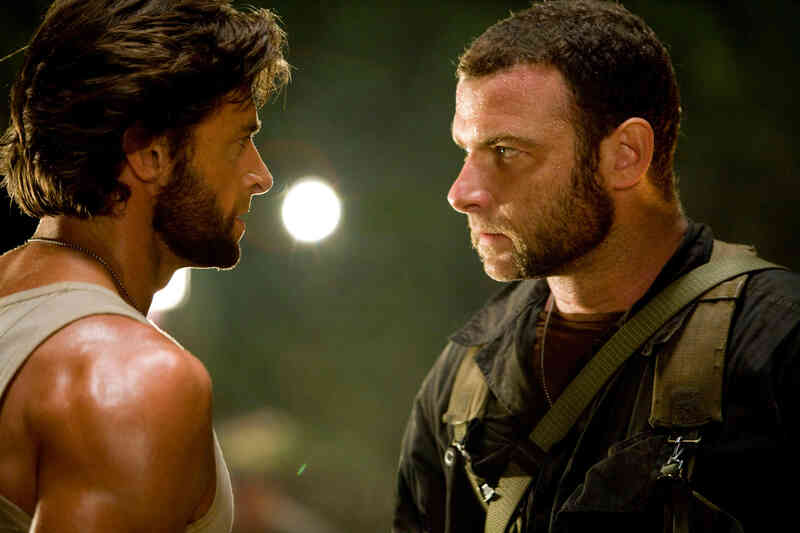 Undergoing an extremely painful procedure to have the rare rock (adamantium) the team once hunted melded to his bone structure, he survives and takes on the mantle Wolverine. He is furious with Stryker when he finds out that he, too, is nothing more than an experiment and that his memory is to be erased. Escaping Stryker, Wolverine sets out to get as many facts together as is possible so as to take down Victor as well as work his way back to Stryker. Stryker is doing his damndest to take Wolverine down, and has special ammunition crafted of adamantium to use on Wolverine. 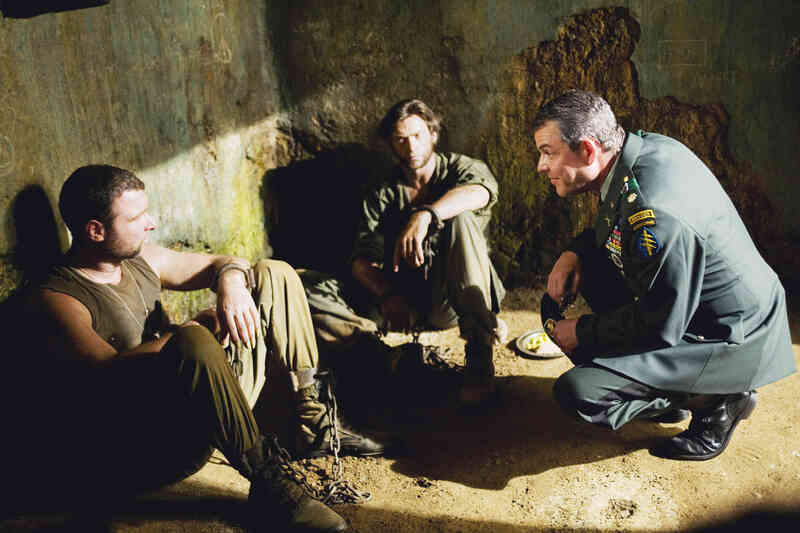 John and Fred help Logan out as far as to explain to him that the mutants they were taking in were being taken to an island where Stryker would experiment on them. One such mutant escaped, and his name is Remy LeBeau, a.k.a. 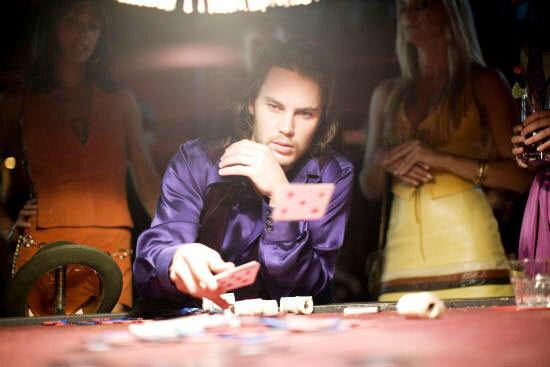 Gambit (Taylor Kitsch), someone who could take Logan to the island so that he can extract his revenge. Meanwhile, Victor is still on a mission to kill mutants and take their DNA, and it becomes evident that he is still working for Stryker, though on what it is not sure, only that it is called Weapon XI. Will Logan make it onto Three Mile Island? What will he find on the island? What is Stryker’s end game? Why is Victor working for him? What is this Weapon XI that he is so intently working on? 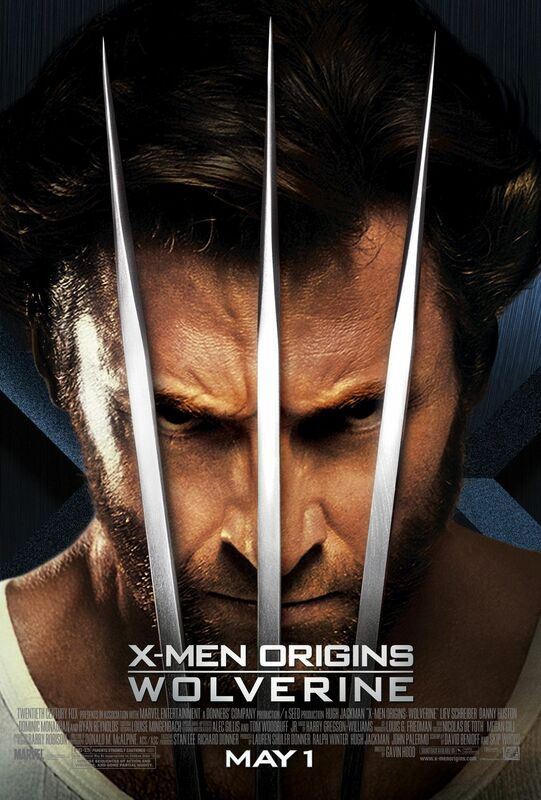 I would give X-Men Origins: Wolverine a 7/10. I know that so many people have their issues with this movie but I really cannot understand the hate. I think this is a really entertaining and fun film and something I look forward to watching every time that I get to it. I loved the opening credits that showed how James and his brother Victor moved through the times together, fought the wars together, but continually showing how Victor got more and more prone to violence and brutality. They also just looked really cool. Then there was the backing story, and I thought it was pretty awesome, bringing in Logan’s break from Stryker and his mutants, deserting his brother, moving on with his life and losing it all, ultimately driven by hatred and revenge. I really liked Ryan Reynolds as Wade, and I really wish Marvel would stop teasing and actually just get the hell around to making that Deadpool movie! Damn! The one massive complaint I had about this movie was Wolverine’s claws. Not the bone ones, those always look brutal, but the adamantium ones. It looked like someone gave some first year graphic designer free reign on it, resulting in them looking way too fake and computerised and all, and that really ruined it for me each and every time Wolverine brought them out. Though I suppose that happened for a lot of the effects… I enjoyed watching Danny Huston as Stryker in this one, he really is a reprehensible and nasty man. I know the world has issues with Taylor Kitsch, but overall I thought he did a relatively good job as Gambit. Yes, there were faults in this movie, but I had fun with it. Maybe because I never read the comics that would back this, I don’t know, but either way this movie is not deserving of the hate it garners. I know that it was not the most popular of films, or the most appreciated adaption of this tale, but I found the movie to be rather enjoyable – shoot me. I liked it. Maybe that is because I watched this without thinking of the true story, without trying to picture it in reality, and without having seen the original one in years. Makes a difference, I tell you. I watched it for what it was – another film. 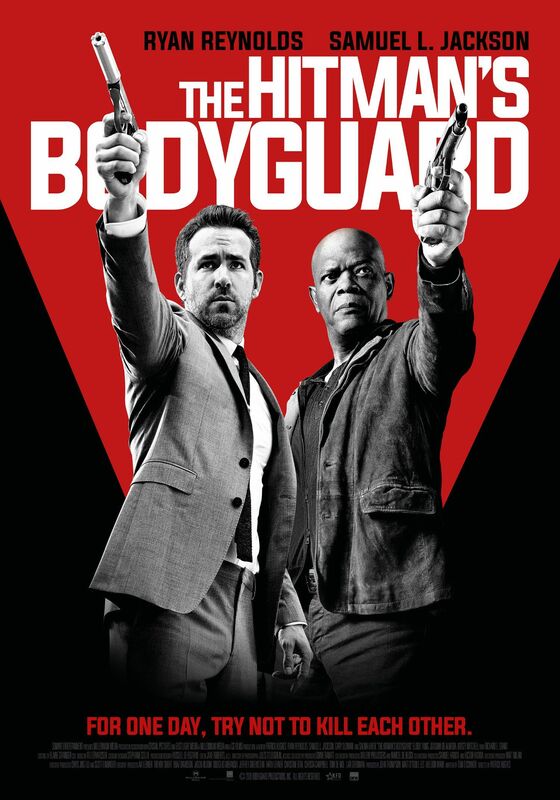 Ryan Reynolds is usually such a fun actor, and he can go more serious, but at times I felt that this might be a stretch for him, but in a sense it is good to see him out there doing something other than a cocky character. He pulled it off the majority of the time. I thought the film was shot very nicely, it all looked very nice and well put together. There were jump scares that I feel were more executed due to sounds and quick flits of camera, but they were definitely better than most. As is typical of a horror, the dialogue was a little weak, but I have to give this film credit for the entertainment that it gave forth – for me at any rate. I liked it, and feel that it is a lovely addition to any horror evening should you want to see it.